Lisbon, the capital of Portugal, is one of Europe's most beautiful and cosmopolitan cities. Set over a series of hills near the mouth of the River Tagus, it's a place inextricably linked with the sea. Intrepid navigators embarked from here in the 15th and 16th centuries to sail unknown waters and chart new lands, and the legacy of this golden Age of Discovery underpins much of the city's culture and heritage. Lisbon is a colorful and vibrant destination. Renowned for its warm and sunny disposition, the city is blessed with a wealth of historic monuments, world-class museums, and a host of other fabulous things to do. You can explore the narrow streets of the old quarter, stroll the riverbank promenade, or wander through verdant parks and gardens. In fact, enjoy Lisbon like the locals do, at an easy and unhurried pace, and you'll quickly fall for its welcoming character and beguiling charm. The National Museum of Ancient Art is one of Lisbon's great cultural attractions, and a "must see" on any tourist itinerary. This is Portugal's national gallery and houses the largest collection of Portuguese 15th- and 16th-century paintings in the country. An equally impressive display of European, Oriental, and African art adds to the allure. The museum is set west of the city center within a 17th-century palace, itself built over the remains of the Saint Albert Carmelite monastery, which was virtually destroyed in the 1755 earthquake. Fortunately, the chapel survived and is integrated into the building. Indeed, Level 1 houses some truly remarkable works. Notable pieces here include Hans Holbein the Elder's Virgin and Child with Saints (1519) and the beautiful 1521 portrait of St. Jerome by Albrecht Dürer. The astonishing fantasy that is The Temptations of St. Anthony (c.1500) by Hieronymus Bosch is a highlight. Jewelry, ceramics, gold, silverware, and art from the Portuguese Discoveries all hold the gaze on Level 2, but make a point of studying the fascinating 16th-century Japanese Namban screens that illustrate the Portuguese trading in Japan. Level 3 is devoted to Portuguese painting and sculpture. The "don't miss" treasure is the altarpiece that portrays the Panels of Saint Vincent, painted in 1470-80 by Nuno Gonçalves, the official artist for King D. Afonso V.
The gardens at the rear of the museum deserve a mention. Fine views of the river can be enjoyed from the terrace, and there's a café where you can relax and contemplate the visual feast just encountered. West of the city center, near Alcântara, and housing a fabulous collection of oriental art built up by the influential Fundação Oriente, this engaging cultural facility chronicles Portugal's presence in Asia and the Far East. The permanent exhibition is set over two levels and grouped around several core areas of oriental art, particularly Chinese. Displayed under subdued lighting, but with individual pieces showcased under pinpoint spotlight, the collection takes you on an incredible journey that traces the cultural and trade links forged between Portugal and India, Japan, Myanmar, Macau, and Timor. An enormous 17th-century teak door from India embellished with iron and bronze greets you on the First Floor, and opens the way into a hall that dazzles with artifacts such as the delicate Namban screen depicting Portuguese mariners disembarking from the Kurofune to be met by bemused Japanese locals. Macau, a former Portuguese colony, is well represented by eye-catching pieces like the suspended boat-shaped cradle (c.1877) made from carved, lacquered, and golden oriental wood, cane, and iron. Elsewhere, an impressive display of Chinese Ming and Qing-dynasty terracotta figurines is placed near a set of forbidding 17th-century Samurai chainmail armor. But make a point of seeking out smaller pieces, items like the quirky collection of Chinese snuff boxes and the silver alloy bracelets from Timor. The Second Floor houses the extensive Kwok Collection comprising more than 13,000 examples of figures and mythological beings cut from cowhide and parchment and used by puppeteers in shadow theaters from Turkey to Thailand. The Orient Museum will absorb a couple of hours of your attention, but if you time a visit for mid-morning, you can pause for lunch in the 5th floor restaurant and relive the experience. Arguably the most emblematic of all Lisbon's historical monuments, the Belém Tower squats in the shallows near the mouth of the River Tagus as a symbol of Portugal's extraordinary Age of Discovery during the 16th century. Built in 1515-21 as a fortress and originally sited in the middle of the river (the watercourse has shifted over the years), the tower represents the highpoint of decorative Manueline architecture. Its ornate façade is adorned with fanciful maritime motifs - all twisted rope and armillary spheres carved out of stone. Indeed, so valuable and iconic is this monument that it's protected as a UNESCO World Heritage Site. 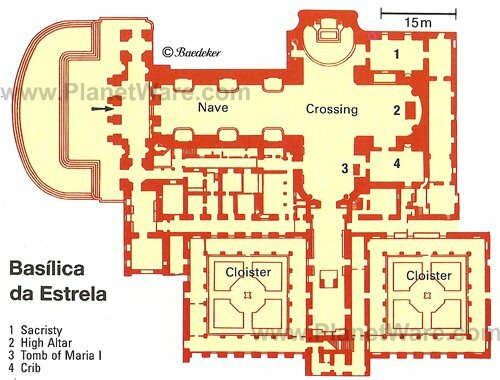 Set over various levels, the most interesting interior feature is the second-floor King's Chamber where the room opens onto a Renaissance loggia. The royal coat of arms of Manuel I is placed above the elegant arcades. Climb the impossibly steep spiral staircase to the top-floor tower terrace, and you're rewarded with a fine panorama of the waterfront esplanade and the river. Located somewhat off the tourist trail east of the city center, the National Tile Museum is worth seeking out for its unique collection of azulejos - decorative tiles - and the fabulously ornate Igreja Madre de Deus. Housed within the church and cloisters of the Convento da Madre de Deus, this is the only museum in Portugal dedicated to this historic art form. The permanent exhibition traces the evolution of tile-making from Moorish days through Spanish influence and the emergence of Portugal's own style. Exhibited chronologically, some of the earliest examples date from the 15th century and are displayed as complete panels of intricate patterns in vivid colors. Portuguese tile work features the more familiar blue and white azulejos, with one outstanding piece, a 36-meter tiled panorama of pre-earthquake Lisbon, one of the highlights of the collection. Entry to the museum includes access to the 16th-century church of Madre de Deus. Here, visitors are treated to one of the most ebullient and decorative church interiors anywhere in Portugal, a sumptuous Baroque showcase of gilded woodwork, shimmering 17th-century azulejos, and a stunning Rococo altarpiece. Looming somewhat incongruously over the rooftops of Lisbon's Baixa (downtown) district is the odd-looking Santa Justa Lift, a neo-Gothic elevator and the most eccentric and novel means of public transport in the city. At first glance, its riveted wrought-iron frame and battleship-grey paint conjure images of the Eiffel Tower in Paris, and there is a connection: the French architect Raoul Mésnier du Ponsard, an apprentice of Gustave Eiffel, designed the elevator, which was inaugurated in 1901. It was built as a means of connecting the Baixa with the Largo do Carmo in the Bairro Alto neighborhood, a trendy area of the city peppered with expensive shops, Fado houses, and small restaurants. Today, it is curious tourists rather than the commuting public who make the 32-meter jaunt to the top, traveling in wood-paneled cabins that still feature the original polished brass instruments. The cabins creak their way to a platform set just below the top terrace. From here, passengers can either exit and walk across a bridge into Bairro Alto or opt to climb the spiral staircase that leads to the upper terrace. The views from the top are superb and take in a busy urban canvas of pedestrianized streets, picturesque squares, and the omnipresent castle and River Tagus. 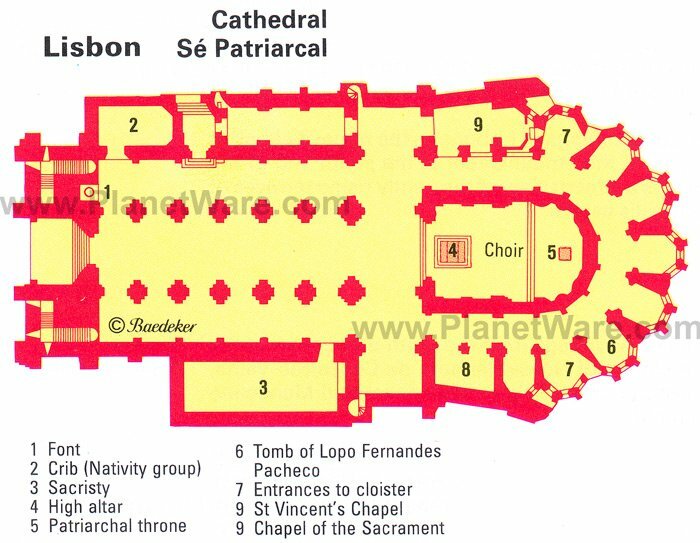 You can also enjoy a wonderful perspective of the nearby Igreja do Carmo. Expect large queues throughout the summer season. Another unique form of transport in Lisbon is the Elevador da Bica, a funicular railroad that was constructed by Raoul Mesnier de Ponsard and opened to the public in 1892. Today, it still rises above the steep Rua da Bica de Duarte Belo and whisks passengers up to a panoramic viewpoint. The lower station of this funicular railroad is almost hidden behind a facade on the Rua de S. Paulo with the inscription "Ascensor da Bica" (no. 234). While here, it's worth exploring this peaceful little quarter known as Bica, which runs down from the Calçada do Combro/Rua do Loreto to the Tagus. Only a few cars journey here due to its sloping topography, narrow streets, and densely packed buildings. In the city's Castelo district near the ancient Alfama neighborhood, Lisbon's fortified Romanesque cathedral - the Sé - has undergone several design makeovers since the original structure was consecrated in 1150. A series of earthquakes culminating in the devastating 1755 tremor completely destroyed that which stood in the 12th century. What you see today is a blend of architectural styles, the standout features being the twin castellated bell towers that embellish the downtown skyline - particularly evocative late afternoon when a setting sun burnishes the brickwork with a golden veneer. Inside, a resplendent rose window helps illuminate a rather gloomy interior, and you're likely to head straight for the treasury where the cathedral's most valuable artifacts are on display, items that include silverware made up of chalices and reliquaries, intricately embroidered vestments, statuary, and a number of rare illustrated manuscripts. It's also worth lingering in the Gothic cloister, not so much for its series of chapels (including one that retains its 13th-century wrought-iron gate), but for the fact that on-site excavations have revealed the foundations of Roman and Moorish dwellings (the cathedral was built over the ruins of a mosque) and the archaeological dig is a worthwhile visitor attraction in its own right. Dominating the Belém waterfront is the angular Monument to the Discoveries, an enormous monolith that leans over the River Tagus to resemble the prow of a caravel, the type of ship commanded by the Portuguese navigators in the 15th century to chart unexplored oceans and discover new lands. The design is deliberate. This landmark structure was built in 1960 to commemorate the 500th anniversary of the death of Henry the Navigator. It pays suitable tribute to all those actively involved in the development of the golden Age of Discovery by way of an amazing frieze of statues set along both sides of the monument of the most prominent personalities, figures like Vasco da Gama, Fernão de Magalhães, and Pedro Álves Cabral. Henry himself stands at the fore, caravel in hand. After admiring those immortalized in stone, you can jump in an elevator and be whisked to the top of the monument for a seagull-eye's view of the riverfront and the surrounding vicinity. Sunk into the esplanade below is a huge pavement compass, a giant mosaic map of the world that charts the locations and dates each new land was discovered. It's one of Lisbon's more unusual photo opportunities. Arguably the most rewarding day trip experience out of Lisbon is a visit to the wonderfully romantic town of Sintra, a direct 40-minute rail journey from the city center. Nestling in the foothills of the rugged Serra de Sintra - a rolling landscape of verdant woodland peppered with outcrops of granite - this enchanting destination unfolds as a scenic picture book of regal royal palaces, mysterious mansions, and a mighty Moorish castle dating from the 8th century. Set against this attractive canvas is the historic old town (Sintra-Vila), a delightful configuration of colorful and ornate townhouses, decorative cafes, and traditional restaurants wedged along a maze of cobblestone streets and narrow alleys. Once the summer retreat for the Kings and Queens of Portugal, Sintra is deserving of its World Heritage Site status and remains a destination of majestic appeal. The Sintra and Cascais Small-Group Day Trip from Lisbon covers all the highlights of both Sintra and the former fishing village of Cascais. Explore Sintra National Park, see the stunning Pena National Palace and Sintra National Palace, and enjoy an exhilarating drive along the Atlantic coast on this eight-hour, small-group tour. Lisbon's huge riverfront square, Praça do Comércio, is impressive enough seen from the ground, but it's only when viewed from the Arco da Rua Augusta that its vast dimensions can really be appreciated. The landmark 19th-century arch lies at the northern edge of the concourse near the southern tip of Rua Augusta, the city's main pedestrianized thoroughfare. Designed by Portuguese architect Santos de Carvalho and built to mark the reconstruction of the capital after the 1755 earthquake, the monument was inaugurated in 1873. It's only recently that the public has been allowed to visit the top of the arch, where a terrace is surmounted by an allegorical statue of Glory, itself crowning figures representing Bravery and Genius and decorated with wreaths. Below this, an entablature supports additional statues of national heroes including Vasco da Gama and the Marquês de Pombal. An elevator deposits visitors near the top, after which a steep spiral staircase needs to be navigated in order to reach the terrace. From here, the view south is majestic and stretches away across the square and over the river. 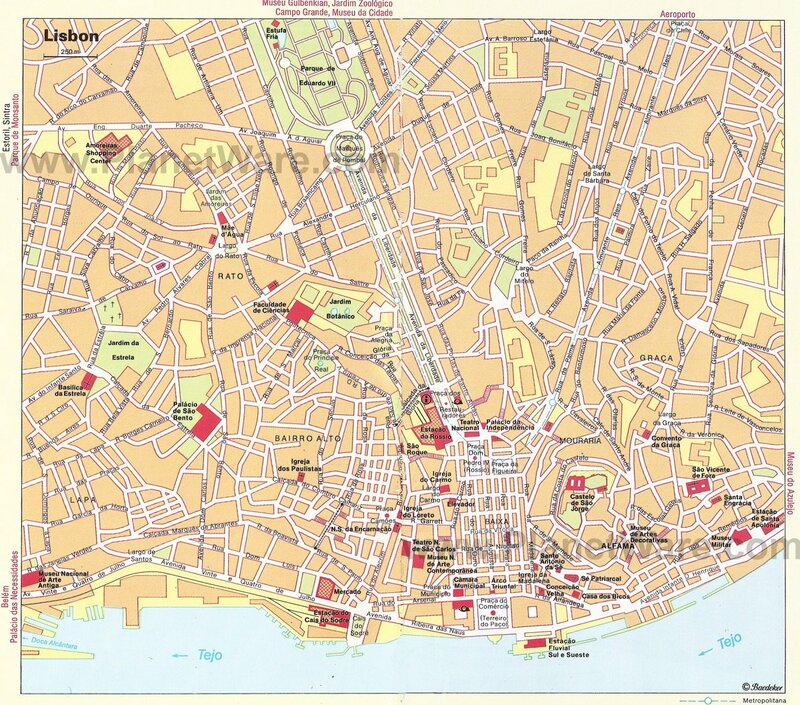 Turn north, and the vista takes in Rua Augusta and Lisbon's entire Baixa (downtown) district. A mechanical clock on the platform made in 1941 strikes the hour and half hour. The clock's mechanism, based inside the arch, can be admired in all its intricate detail as can an illustrated panel outlining the arch's own historic timeline. On Praça do Comércio, this is the first place you should head for if you're new to Lisbon; there's no better introduction to the history of the Portuguese capital than this marvelous interactive cultural center. The family-friendly facility consists of six zones arranged chronologically and each dedicated to a particular period, or chapter, in the city's history. Clever use of multimedia applications brings each zone to life with some areas resembling film sets. Narration and dialogue heighten the sense of realism. Models, paintings, and photos all help to build up a picture of bygone Lisbon, but it's the 4D film depicting the 1755 earthquake that really brings history crashing into your experience. The room shakes and trembles as the disaster unfolds, and the whole episode is frighteningly realistic. Equally impressive for the way key moments are brought to life is the hologram of the Marquês de Pombal (1699-1782) surrounded by the city fathers poring over plans for reconstruction shortly after the catastrophe. The skeletal ruins of the Carmo church are among the most evocative of all Lisbon's historical monuments. Built to an almost exclusive Gothic design, this Carmelite treasure was constructed between 1389 and 1423. Resplendent with its adjacent convent, Carmo was once the city's most distinguished church. But on the Sunday morning of November 1, 1755, which happened to be All Saints' Day, a devastating earthquake struck the Portuguese capital. The violent tremors almost destroyed most of the building, and hundreds of worshippers perished under falling masonry. The chancel withstood the shockwaves, but the rest of the church was never rebuilt. Today, visitors can wander the open nave, overshadowed by the surviving arches that bow upwards into the sky. The chancel is now the delightfully quirky Museu Arqueológico do Carmo where exhibits include a Visigoth pillar and a Roman tomb. Among the more bizarre displays are two ancient mummies lying prone in their glass cases. The church façade overlooks the picturesque Largo do Carmo in Chiado, the centerpiece of which is the filigree Chafariz do Carmo fountain. Reached easily on foot, the square can also be accessed from the nearby Elevador de Santa Justa. The church and museum of São Roque in Bairro Alto combine to offer an absorbing cultural experience - each complements the other. 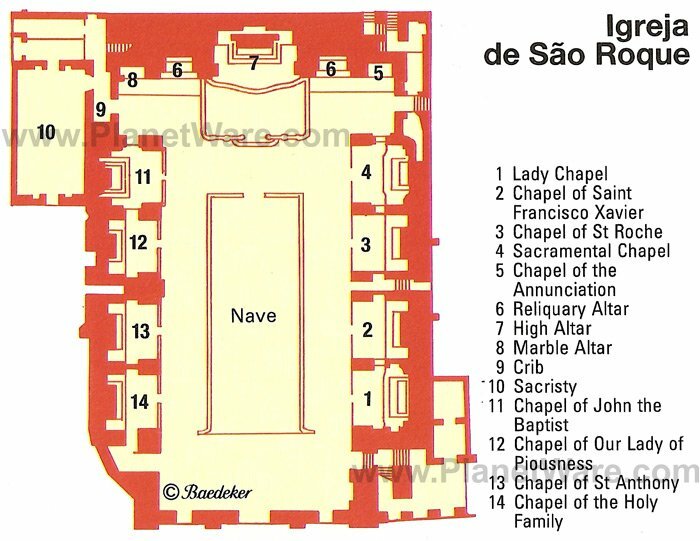 Founded in the late 16th century by the Jesuit Order, São Roque's bland and unassuming Renaissance façade belies a sumptuous interior, one of the most impressive of all Lisbon's religious sites. Richly embellished with marble, azulejos, and gilded woodwork, the church is celebrated for its series of side chapels, one of which, the Capela de São João Baptista, simply dazzles the onlooker with its ornate decoration. Commissioned by King João V in 1742, Italian architects Luigi Vanvitelli and Nicola Salvi created a veritable jewel box, built in Rome and shipped all the way back to Lisbon. Adorned with amethyst, lapis lazuli, precious marbles, and inlaid with gold, silver, and ivory, the chapel's centerpiece is the intricate mosaic The Baptism of Christ by Mattia Moretti completed in 1750. Another chapel, the Capela de São Roque, features the oldest and most striking azulejos, signed by Francisco de Matos and dated 1584. Above all this is a majestic ceiling - the only example in Lisbon of a painted ceiling from the Mannerist period. The adjacent museum houses sacred art and the most valuable treasures of the church, including those from the Chapel of St. John. A highlight is the Shrine to São Roque, a series of early 16th-century panels illustrating the life of the saint. But spend time, too, seeking out exquisite individual pieces like the reliquary casket of Saint Francis Xavier made in Goa in 1686 from pierced silver. The ensemble of 18th-century vestments, resplendent in silk and gold embroidery, is a rare collection. One of the more unusual visitor attractions in Lisbon is this extraordinary archaeological museum set on and beneath Rua Augusta in the city's Baixa (downtown) district. The museum was built around excavations that had revealed the remains of Iron Age dwellings and Roman fish-preserving tanks unearthed by a building team during the construction of a new bank. Archaeologists were called in and as work progressed, more artifacts were discovered including Roman mosaics, a 5th-century Christian burial chamber, and the foundations of Moorish walls and flooring. The developers had chosen to build over a site that had been occupied by different civilizations over many thousands of years. Indeed, pottery and coins from the medieval period were also found, and 18th-century foundations identified. Instead of bulldozing over this fascinating multi-layered treasure trove it was decided to preserve the entire site by building over and around it. Today, you can join a free, pre-booked guided tour that begins on the ground floor in the exhibition hall with glass floor panels that allow visitors to view sections of the excavated basement. The history lesson continues downstairs where you are led through a series of eerie, subterranean galleries designed to showcase that which remained hidden for millennia. By coincidence, the name of the bank is Millennium. At the northern end of the Campo Grande, this wonderful museum celebrates the art of Rafael Bordalo Pinheiro (1846-1905). The museum is located in a lovely old villa dating from 1912. It contains predominantly ceramics, which clearly demonstrate the caricatural bent of the artist. Figures or faces are portrayed in the form of vases, cups, or teapots. Much of the work alludes to Portugal's history, and the pieces exhibit a mix of styles. Pinheiro's Art Nouveau bowls and tiles decorated with the reliefs of plants and animals are a highlight, and his figure of "Zé Povinho," a caricature of the typically ordinary Portuguese man, has gained great popularity. Various models of the "Zé Povinho" are on display in the museum. Tucked away on the northwestern outskirts of the city is this charming country manor house, the family home of the Marquês de Fronteira. Built as a hunting lodge for João de Mascarenhas, the first Marquês de Fronteira, in 1640, it was later refurbished as a palace and remains one of the most beautiful and serene private residences in Lisbon. Fortunately, some of the rooms in this noble retreat are open to the public, as are the wonderfully landscaped grounds, and investing in a guided morning tour of the premises offers a rewarding glimpse into 17th-century Portugal. Outside of the Museu Nacional do Azulejo, this is the best place in the city to view 17th-century azulejos. The palace is adorned with outstanding examples of tile work, most notably in the Sala das Batalhas (Battles Room). Here, wall panels depict scenes from the War of Restoration, the long and bloody campaign to rid Portugal of Spanish rule. The detail is staggering and truly brings to life the various battles fought that eventually restored the country's independence from its occupying neighbor. This is not a museum, and none of the furniture or interior decoration is labeled. Tours, however, are instructive, educational, and discreet and allow access to additional areas such as the lounge, library, and dining room, where unique Amsterdam tiles embellish the interior. Art historians will no doubt spy some notable pieces - look out for the Pellegrini portrait. Included in the tour are the formal gardens, a verdant oasis embroidered with sub-tropical flora. Here you'll find the "King's Gallery," a terrace featuring decorative niches that contain busts of Portuguese kings. It's set above a large pond full of carp. Similarly, the extraordinary chapel terrace is decorated with azulejo panels illustrating Greek and Roman noble arts as well as several statues, all of which date from the 17th century. One of Lisbon's great iconic landmarks, the enormous Águas Livres aqueduct started supplying the Portuguese capital with fresh water in 1748 piped from a spring located to the north of the city. The section spanning the Alcãntara valley is the most impressive of this remarkable 18th-century water system, and until recently, was off limits to the public. However, it's now possible to walk the entire length of the aqueduct just by turning up at the entrance, and the experience is quite edifying. Actually, what you see only forms a small part of the main 19-kilometer-pipeline. Incredibly, its total length, including its tributaries, is 58 kilometers. Construction is based on the principle of gravity: water would flow unheeded at a constant rate and the gently sloping design of the aqueduct meant that it could be delivered to Lisbon quickly and efficiently. The imposing central section is the eye-opener. The 35 arches that cross the valley soar up to 65 meters in height above the city. Graceful and dramatic in equal measure, the aqueduct's design signature is testament to the Italian architect Antonio Canevari and later, Custódio José Vieira and Manuel da Maia, both Portuguese, all commissioned by King João V.
The precious liquid commodity would have been collected at Mãe d'Agua das Amoreiras, a water reservoir located in Lisbon's Amoreiras district, which can also be visited, but separately. Completed in 1745, this solid, bunker-like stone building replete with Gothic flourishes resembles a grotto. Water floods the lower levels of the cistern, but above, a vaulted ceiling sprouts from the pillars that rise above the surface. The gallery is now used as a cultural venue and hosts regular art exhibitions and music concerts. The roof affords fine views across the city. The gleaming chalk-white dome of the Basílica da Estrela (Star Basilica) draws admiring glances from all across Lisbon such is its omnipresence on the city's skyline. The church is one of the capital's grandest and is sited on a hill west of the city center. Commissioned by Maria I, daughter of King José I, construction of the basilica began in 1779 and was completed in 1790. The limestone façade, embellished with a medley of statues and allegorical figures, is balanced by twin bell towers and is similar in design to the Mosteiro Pálacio Nacional de Mafra, though on a lesser scale. The interior is cool and serene (a real plus on a hot day), and architect Mateus Vicente de Oliveira and later Reinaldo Manuel's blueprints are translated into a vast, spacious interior of various shades of marble. Standing near the high altar and gazing upwards, the dome resembles a huge inflated balloon bathed in a soft translucent light. To one side is the tomb of Maria I, but what visitors should definitely seek out is the extraordinary Nativity scene crafted in cork and terracotta by Machado de Castro. It's displayed in a room that is sometimes locked. If this is the case, ask the sacristan to see it. Outside, opposite the basilica, is the leafy Jardim da Estrela, Lisbon's prettiest park and a great place to take a picnic. A leisurely amble through Alfama, Lisbon's old Moorish quarter, offers a fascinating insight into how the city would have looked before the great earthquake of 1755, when much of the Portuguese capital was destroyed. Wander the warren of narrow lanes and admire the riverside views from sweeping terraces and pretty squares. An equally alluring neighborhood is Belém. 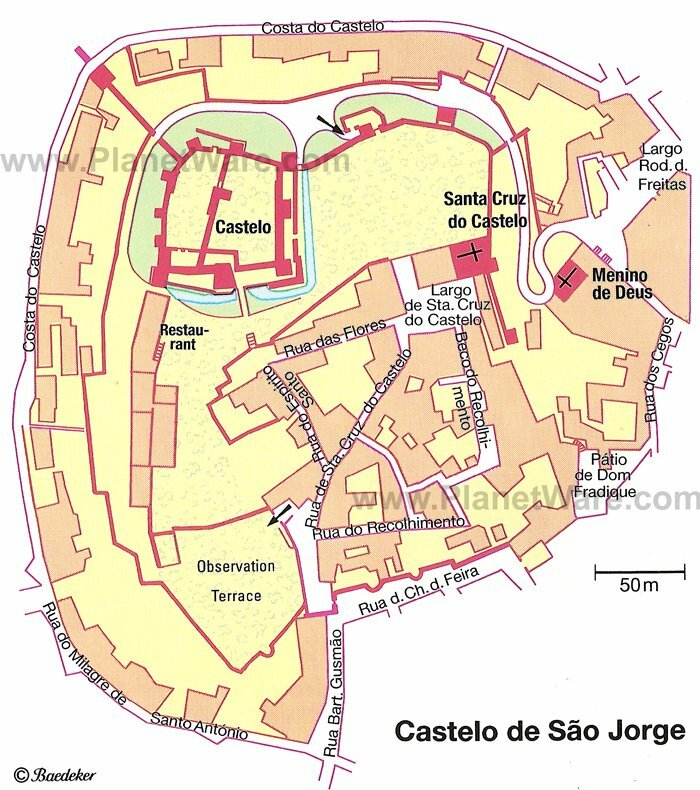 Two of Portugal's greatest historic monuments are found here: Torre de Belém and Mosteiro dos Jerónimos. History and culture also go hand in hand at the city's museums, such as the Museu Nacional do Azulejo. Furthermore, day trips out of Lisbon to tourist attractions like the Palácio Nacional de Sintra and the Mosteiro Palácio Nacional de Mafra are well worth the effort. And of course, Lisbon's fantastic coastal location means that fabulous beaches lie within striking distance of the city center. Luxury Hotels: Beside Rossio Station stands the Avenida Palace, Lisbon's Grande Dame of Belle Epoch style, with glamorous surroundings, a few steps from prime attractions. A block away, the elegant, contemporary rooms of the Heritage Avenida Liberdade Hotel overlook a leafy promenade, offering serenity in the heart of Lisbon. Just behind the cathedral, Memmo Alfama Hotel is a newcomer right on the historic Tram 28 line, with smart design and breathtaking views across the Alfama and river. Mid-Range Hotels: Attractive rooms at the boutique My Story Hotel Rossio overlook the plaza's popular cafés. A few steps from Rossio, Hotel Santa Justa is near the iconic Santa Justa Elevator to the Bairro Alto. NH Lisboa Liberdade, in the reliable NH Hotels group, is well located along the esplanade of Avenida da Liberdade, between Rossio and Praca Pombal. Budget Hotels: Unlike many cities, Lisbon offers a good mix of hotels in its best locations. The 7 Hotel has a prime spot between the Chiado and the grand riverside Praça do Comércio. In the same superb location near the MUDE museum, Brown's Downtown is also close to the Tram 28 line, which climbs to the Alfama. A block off Avenida da Liberdade and Rossio, the modern rooms of Rossio Garden Hotel are great value. 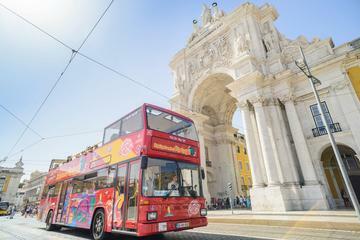 Sightseeing: For a relaxing day or two of exploring the city at your own pace, the Lisbon Hop-on Hop-off Bus Tour is the best option. This 48-hour pass, with buses that depart every 30 minutes, is one of the most popular ways of seeing the city. An audio guide provides commentary, so you get the background on what you are seeing. For something a little more adventurous, try a Lisbon Seven Hills Electric Bike Tour. This is essentially a bike tour without all the work of having to pedal up hills, and a nice way to spend 2.5 hours exploring Lisbon. 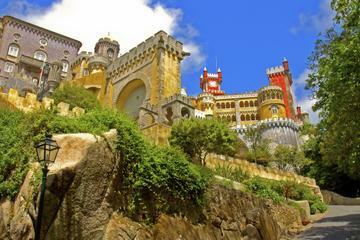 Day Trips: The Sintra and Cascais Small-Group Day Trip from Lisbon is a great way to see some of the most spectacular sites Portugal has to offer, from the quaint mountain town of Sintra to outstanding castles, ruins, and natural beauty. This eight-hour trip includes a stop in Sintra and Cascais, Pena National Palace, and a scenic drive along the Atlantic coast. For something a little different try the Fátima, Nazaré, and Óbidos Small-Group Day Trip from Lisbon and visit the famous pilgrimage site of Fátima, along with a medieval town and a small fishing village with a UNESCO World Heritage-listed monastery.